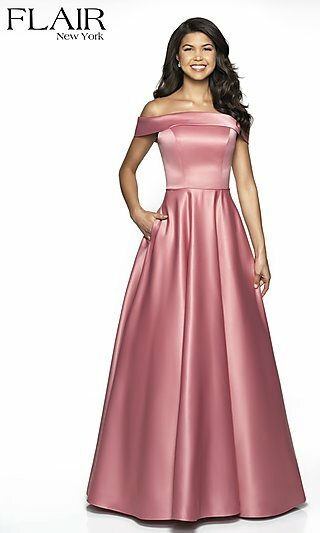 When you love dresses and want the convenience of pockets, you will find these party and prom dresses with pockets are the way to go. 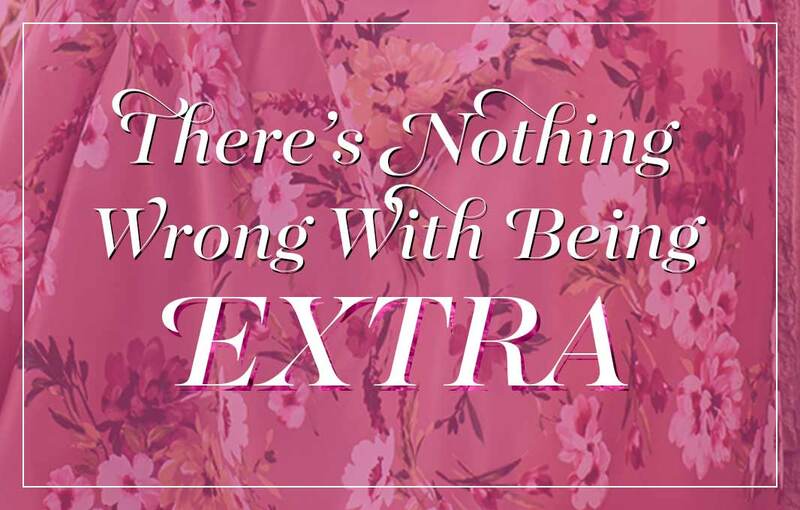 Explore this extensive collection of pocket dresses for all occasions and all seasons. 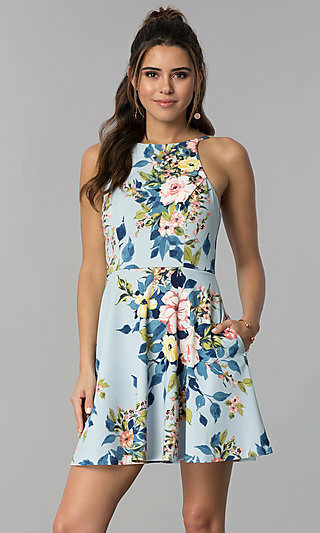 There are short party pocket dresses for date nights and girls’ nights out, casual dresses with pockets, and prom gowns with pockets. 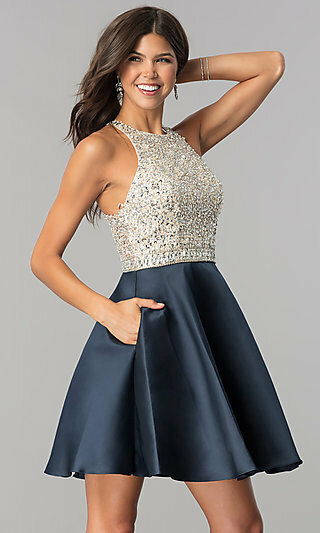 Whether you are looking for homecoming dresses with pockets or casual party pocket dresses, you will find a dress with pockets to fit your style here. Where Can I Wear a Dress with Pockets? For any venue, season, or occasion, wear your super-cute dresses with pockets and leave the purse at home. Short and long dresses with pockets can give you a look of elegance and minimize your need for accessorizing. Why sacrifice style for practicality? You can now slip your phone, keys, and other small valuables in your pocket dress and go. 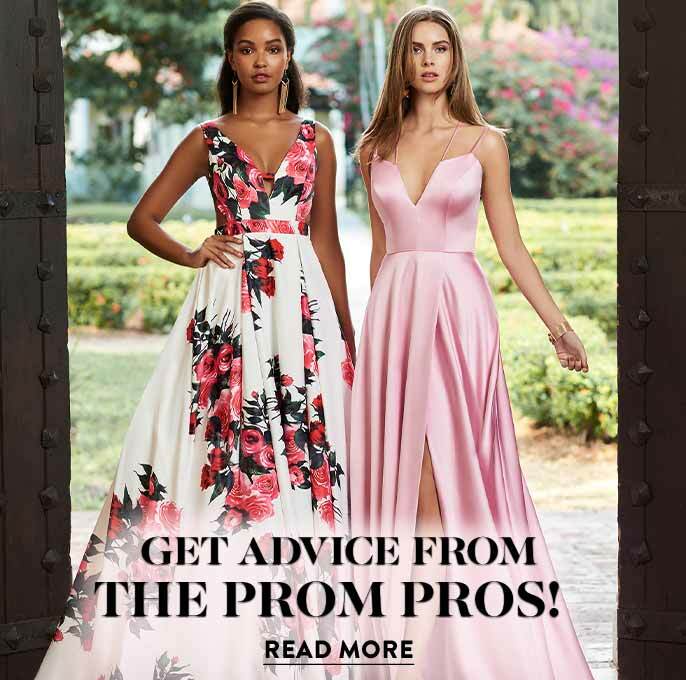 Select a flirty homecoming dress with pockets, twirl at a spring dance in a short party dress with pockets, or stun at prom in an elegant prom gown with pockets. A casual or semi-casual pocket dress is a great choice for a family get-together or a day out shopping. The height of convenience, dresses with pockets keep your small essentials close at hand, wherever your celebration takes you. 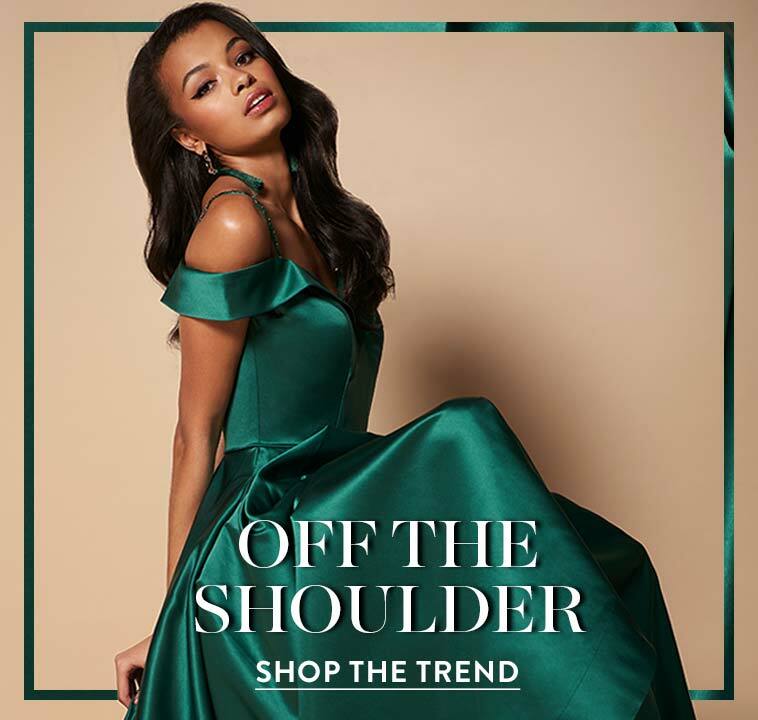 Explore this collection of beautiful gowns with pockets, prom dresses with pockets, homecoming party dresses with pockets, and short pocket dresses in a variety of colors, styles, and fabrics. 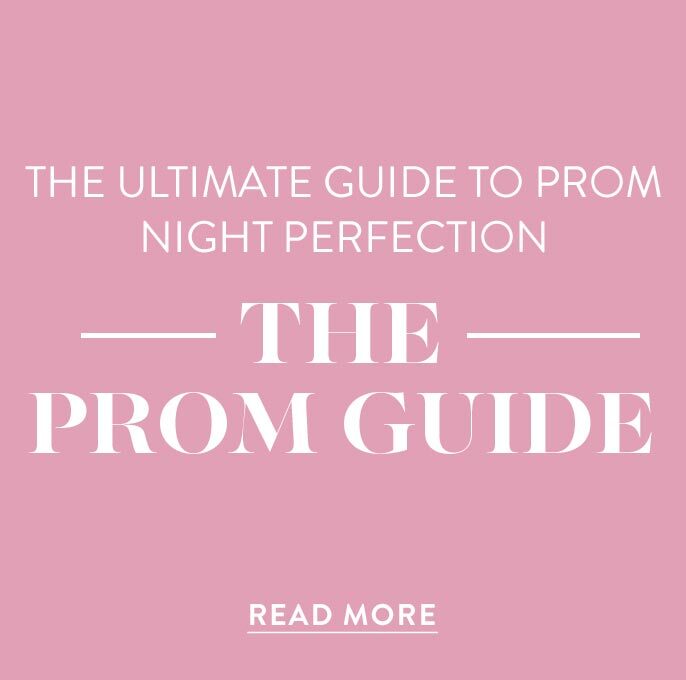 From contemporary dresses with pockets to pocket dresses that inspire a vintage vibe, PromGirl’s collection of short party dresses and long dresses with pockets are on-point and selfie-ready.